Second Harvest operates a variety of programs each aimed at ending hunger and breaking the cycle of poverty in South Georgia. Brief descriptions of our programs are included below. To request more detailed information, please click here or contact us by phone. SHSG has a network of more than 400 partner agencies across our 30 counties that range from small homeless shelters to large church food pantries. These partners access the food by paying a shared maintenance fee (figured per pound) that helps cover the transportation and handling of the product. All food is free and must be given to the end users at no cost. 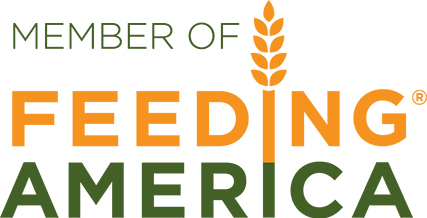 Through our network of partner agencies, we distribute more than 1 million pounds of food per month. Last year we provided 16.5 million pounds of food and groceries to those in need in South Georgia and are on track to well exceed that this year. Click here to see how the food bank works! Supermarkets, department stores, discount stores, etc. donate excess inventory, damaged or out-of-date items. Items are inspected by trained staff to ensure product safety and quality, if necessary repackaged, and then distributed through our various channels to those in need. This nearly 4 million pounds of food per year would otherwise end up in the landfill but instead is rescued and utilized to combat hunger in our area. This children’s feeding program provides kids with meals after school and during school breaks (summer, holidays, etc.). During the school year, children get a meal or snack and an hour of enrichment activities (such as tutoring). At present, our Albany and Valdosta kitchens prepare and deliver more than 45,000 (total) meals and snacks monthly for area kids. Last year we served nearly 425,000 meals and snacks to South Georgia children. Generous farmers, packing sheds, and produce wholesalers donate fresh produce which is supplied to those in need through multiple channels including food bank distribution, mobile food pantry, and Kids Café. During this year’s peak growing season, we collected and distributed nearly 1 million pounds of produce in a single month. We utilize our specialty truck (purchased through a Kraft vehicle grant several years ago) to set up a mobile food pantry in areas of greatest need where residents may not have transportation to visit the traditional food pantry. These “manna drops” as they have been nicknamed can provide those in need with both non-perishable items such as canned food and perishable items such as produce, dairy, and bread. This program is particularly effective in migrant camp areas where residents, due to the transitory nature of the population, are not knowledgeable of the services available in the area. SHSG provides assistance to local, state and federal government agencies with regard to disaster relief. Our South Georgia location enables us to serve as a staging site for the entire Southeast. We store disaster relief supplies such as water, food, blankets, etc. and can mobilize these resources quickly, having them on site in a crisis within a matter of hours. Teachers’ Harvest, founded in 2009, is a free school supply store for area teachers. This program, located at our Valdosta branch, offers educators an assortment of brand new and gently used supplies and equipment donated to us by both local and national businesses and the Kids in Need Foundation. Since our opening, we’ve given away nearly $1.75 million in products and served nearly 3,000 teachers. TH strives to ensure that kids have what they need to succeed in school, as education is a huge component in breaking the cycle of poverty that plagues our area. In addition to these year-round programs, we conduct seasonal and standalone events such as our recent Thanksgiving meal giveaway, at which we were able to distribute over 150,000 pounds of food.